Looking to sell quality, lab tested CBD? 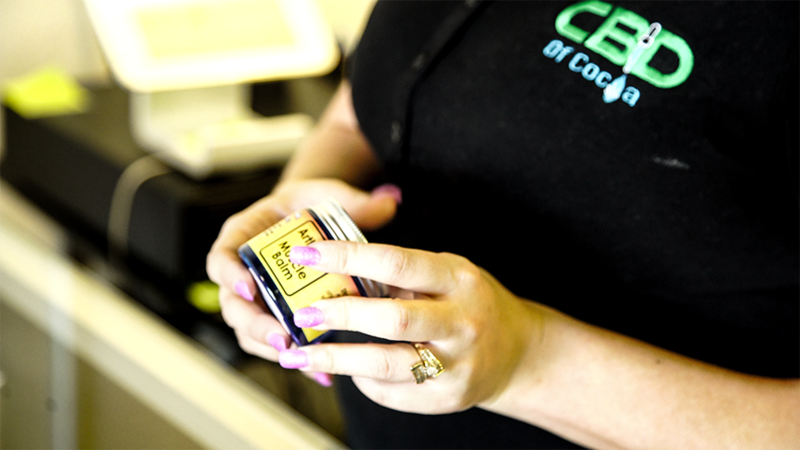 Space Coast CBD offers affordable prices, along with the logistical assistance to help you set a successful CBD store in your area. For those with existing stores, Space Coast CBD offers competitive pricing for wholesale orders on an array of CBD products. Space Coast CBD has a tried and true model for operating brick and mortar retail outlets. Allowing us to assist you in building and managing your own CBD retail store provides you with the opportunity to capitalize on the local market of CBD users who prefer to make CBD purchases in person, as opposed to buying CBD online. Space Coast CBD can assist in the logistics of setting up your own CBD store that allows you to make a living from a growing industry, geared towards helping others. Our assistance includes providing you with a supply chain, guiding you through the set up of your web presence and marketing campaign, assisting in the set up of your point-of-sale, educating you on how to conduct your in store product demonstrations, how to close sales, and many other important aspects of running a CBD store. Our affiliate model allows you an easy entry into the CBD industry, aided by a management and marketing team with a proven track record of success. Your success is our success. Your CBD retail store allows you to help people suffering from debilitating ailments in an upscale, boutique atmosphere. Our wholesale pricing allows you to retain a large percentage of your gross revenue, through an optimized pricing system. To get started, use the form below to contact us!